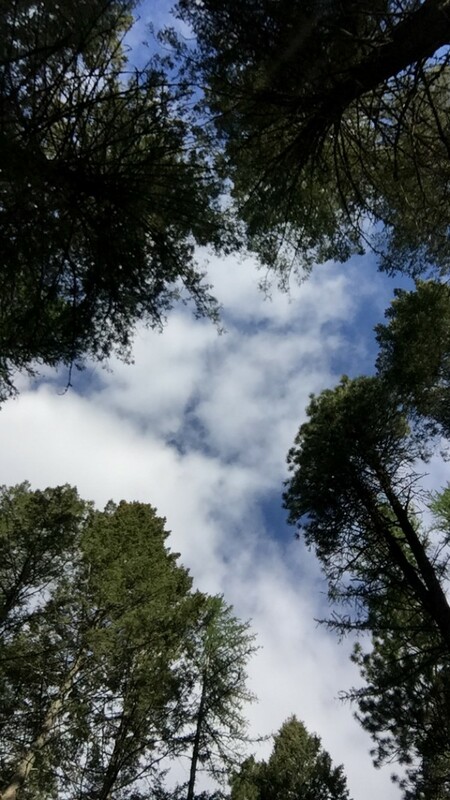 There are some places that you visit that feel like a total escape from daily life. 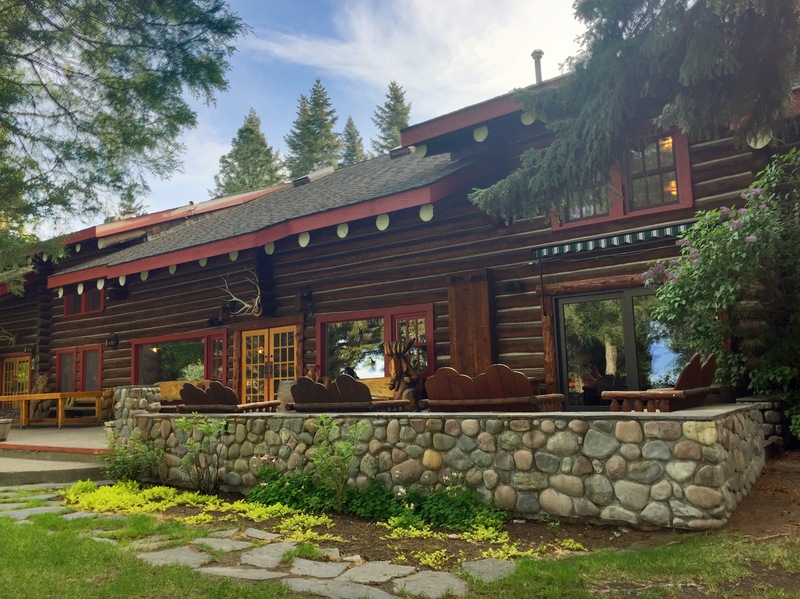 One such place: Flathead Lake Lodge. The main lodge and gathering area for guests. 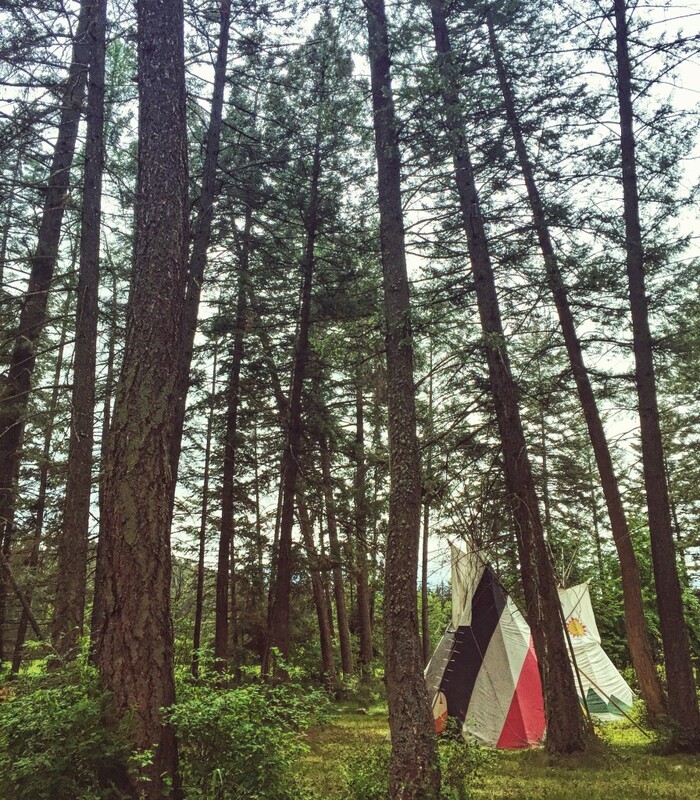 Tipis in the woods at Flathead Lake Lodge. 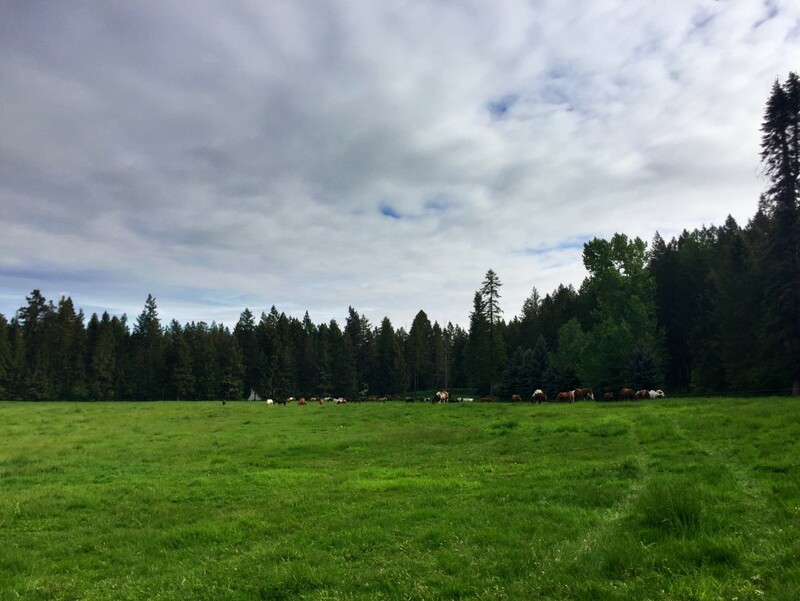 Located just south of Bigfork on the east shore of Flathead Lake, this family-owned and operated guest ranch has been welcoming guests since 1945 and after a recent stay there, I completely understand how they’ve been in business for more than 70 years. Upon arrival at the lodge, I felt completely comfortable. 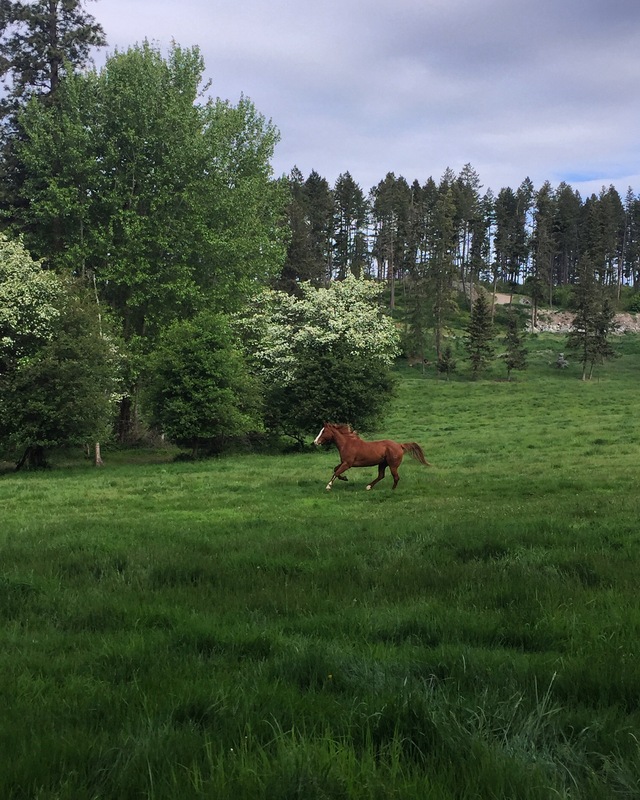 Maybe it was the lush grounds and herd of horses that greeted our group as we pulled in or the fresh air and lakeside setting that made my heart me feel totally at home. All I know is this: I loved it. 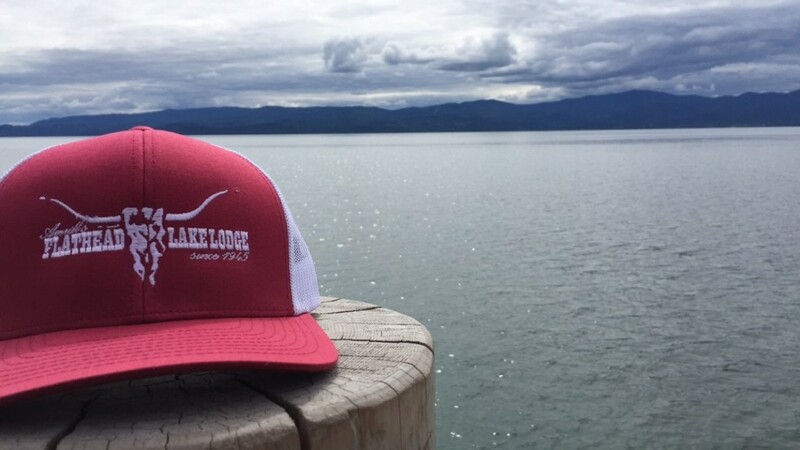 Sidenote: Flathead Lake Lodge is not just a great getaway for adults. My friend Angie visited last summer with her family. Check out her recap here. 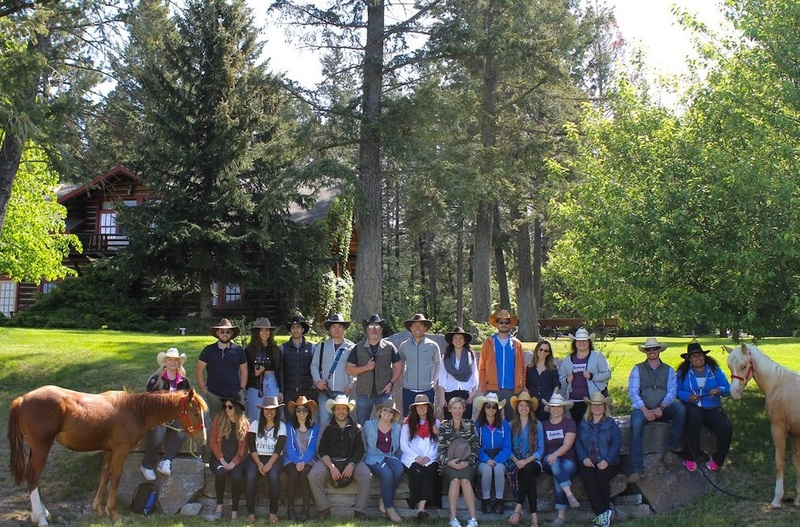 Upon arrival, we got outfitted with custom-shaped cowboy hats by Larry Shore from WesTrends. And I will tell you this: if you ever get the opportunity to have a hat shaped to your face—and basically made specifically for you—take it. I can’t say enough good things about how fun it was to pick out a hat and have Larry shape it just for me. Our crew in our custom-shaped cowboy hats. 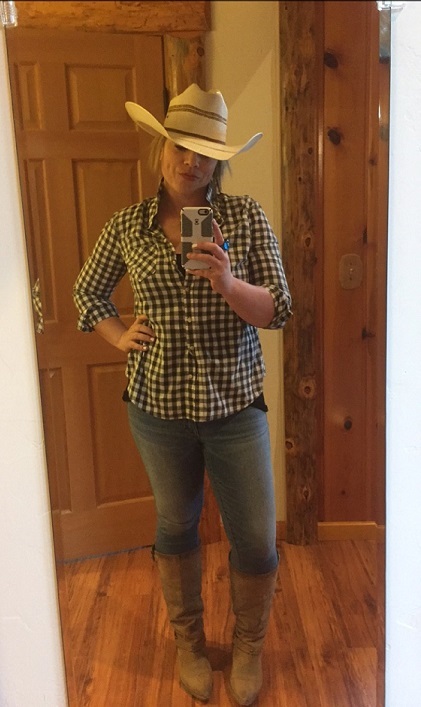 I’ll give you a yee-haw. 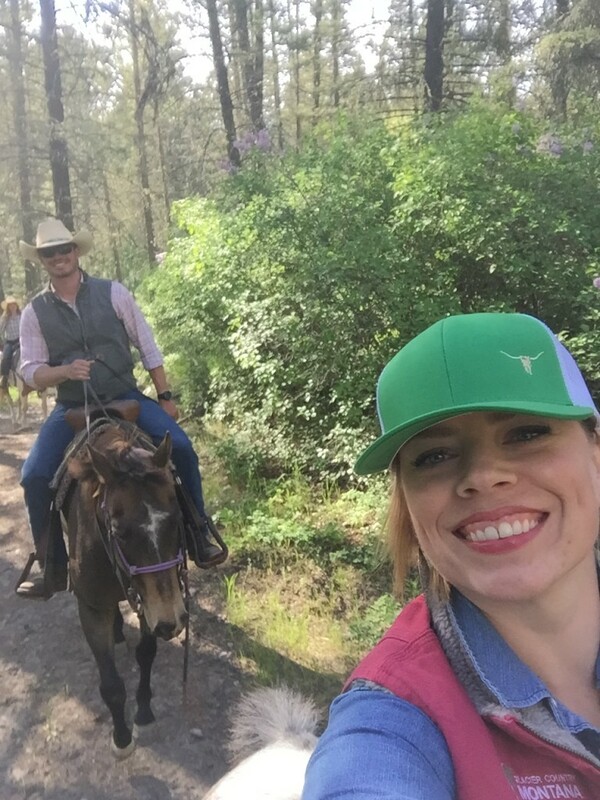 After becoming properly outfitted, we were ready for a great couple of days at the ranch. 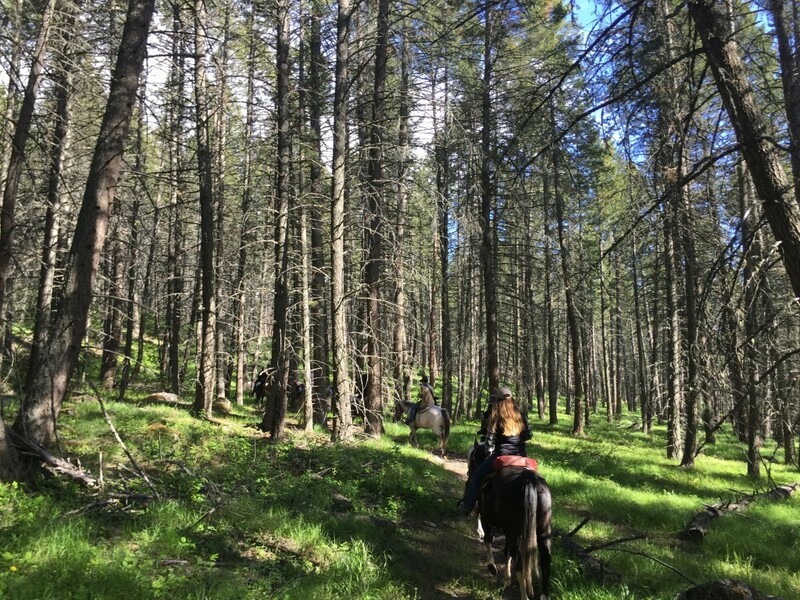 On the agenda: a horse roundup, water fun, cocktail making, horseback riding, a steak cookout and s’mores by the campfire. And while we had a lot of western activities to accomplish in a short period of time, we were ready to pack in as much as we possibly could. 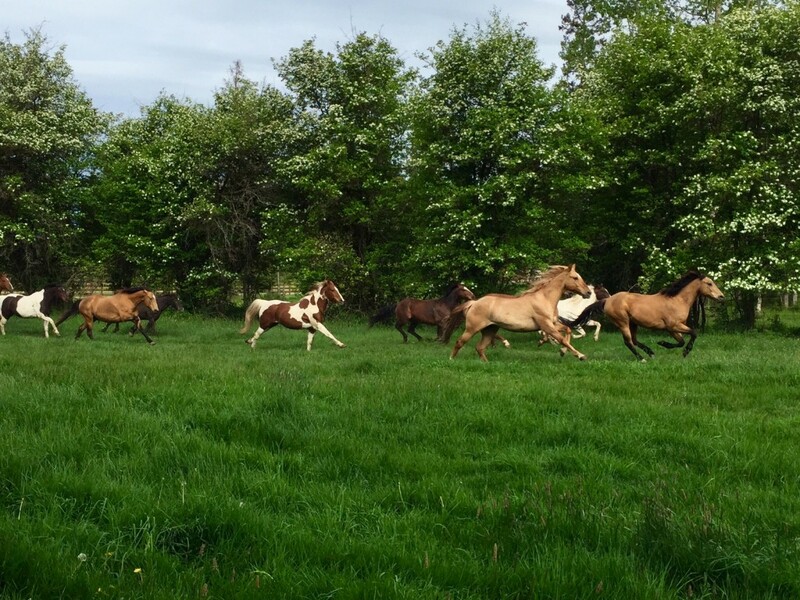 There’s nothing quite like seeing horses run into an open meadow at full speed. Horses + a lush meadow + Montana’s big sky = not a bad little Monday. 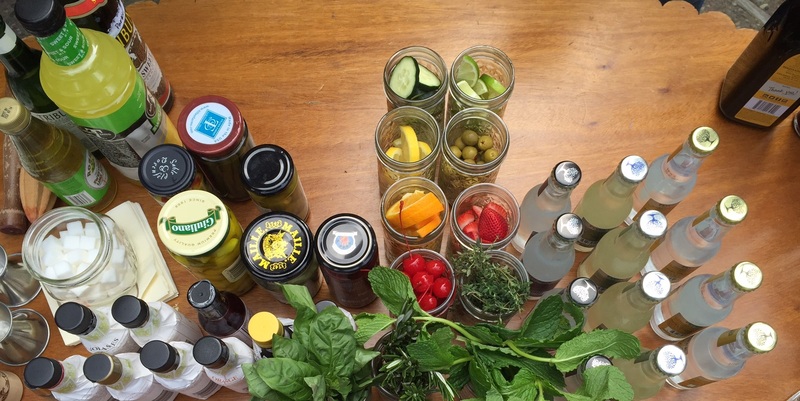 The makings for Montana-flavored cocktails. 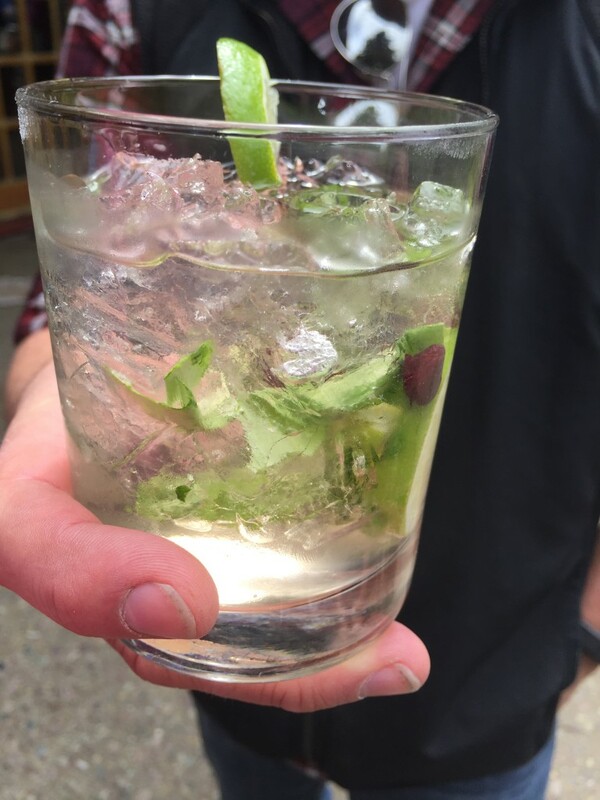 Yep, that is indeed a huckleberry in that drink. After rounding up the horses and making cocktails (rumor has it there were many tasty options to choose from), it was time to head to the lake. 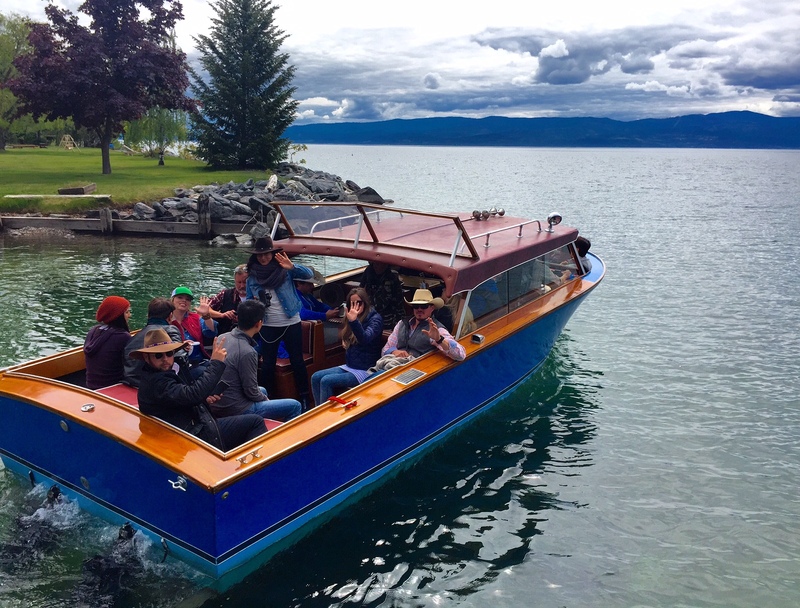 One of the many cool things about Flathead Lake Lodge is that it sits right on the shore of the largest freshwater lake in the West and has a variety of water-based activities, including boat cruises, sailing excursions and canoeing. Off for a cruise around the lake. An idyllic setting for a guest ranch. 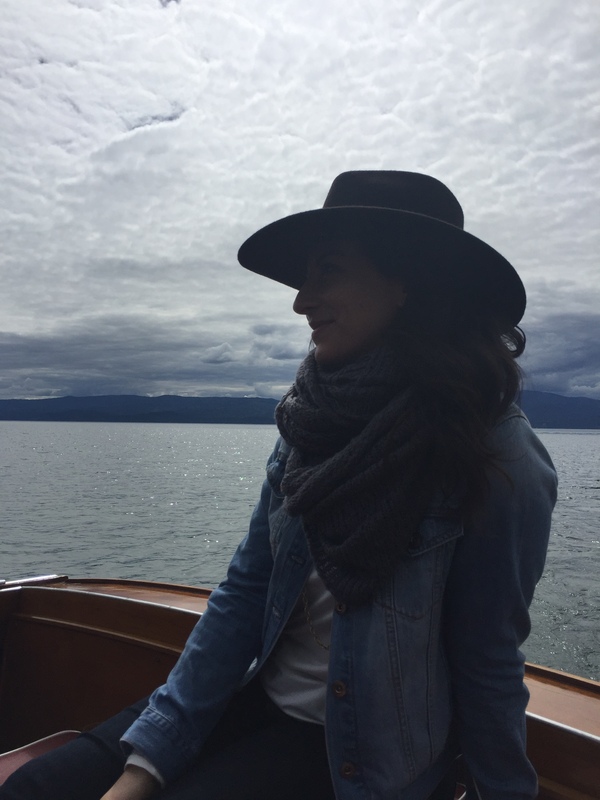 My (stunning) friend Kate taking in our time on the water. After cruising along the lake, it was time for one of the best western experiences I’ve ever had…an outdoor steak fry. 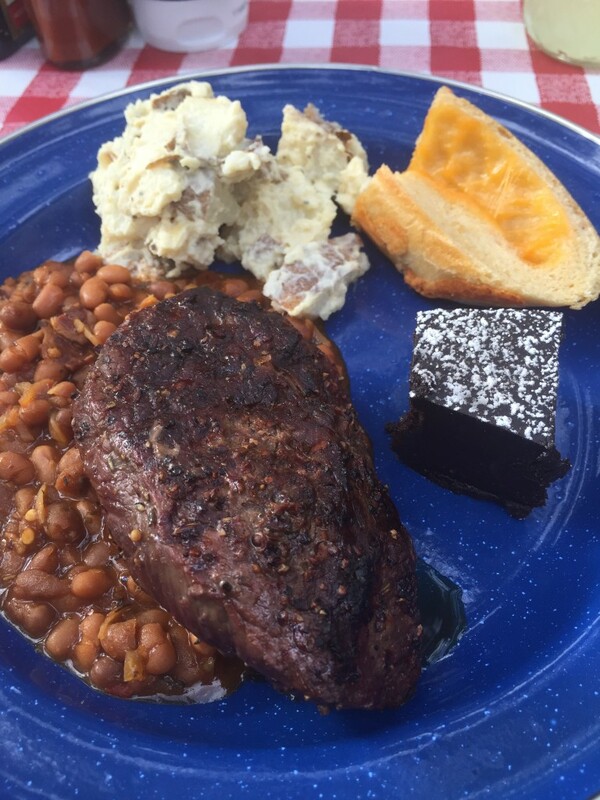 The thing that’s so special about the steak fry at the lodge is that it’s held up in the mountains in a beautiful forested spot and Kevin, the lodge’s longtime general manager, cooks up steaks on an open fire. Disclaimer: if you order below a medium, he’ll tease you for it while still making you the tastiest steak you’ll ever have. Our ride to the steak fry was on horseback. The steak fry setting. It’s kind of perfect. Oh hey, perfect BBQ dinner. 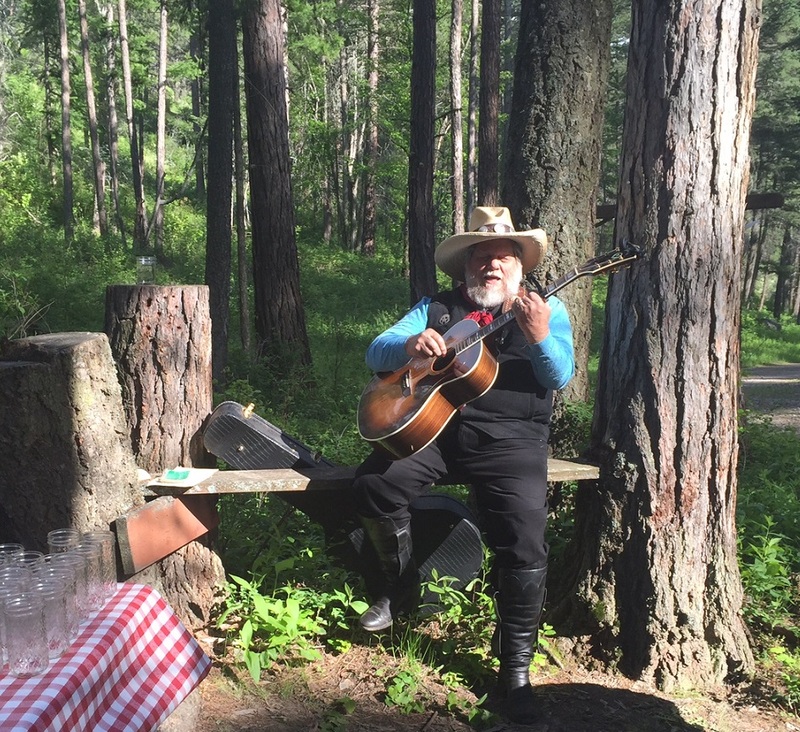 Cowboy singer-songwriter Gene filled the forest with his music. 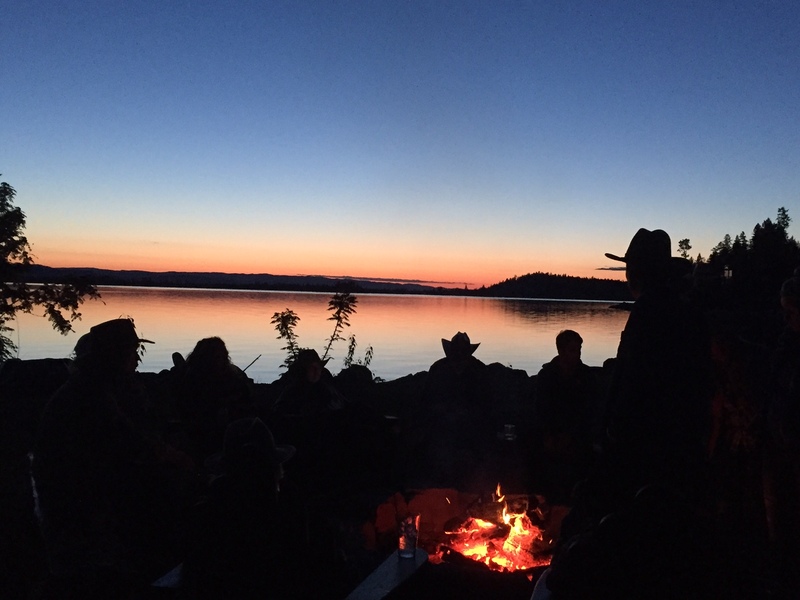 After two fun-filled days at the ranch, we spent our last night in true Montana and Old West style…around a campfire. And to be honest, it’s one of the best nights I’ve had in a really long time. Sitting on the dock, watching the sunset. One of the best places to be on a cool Montana night is around a campfire. 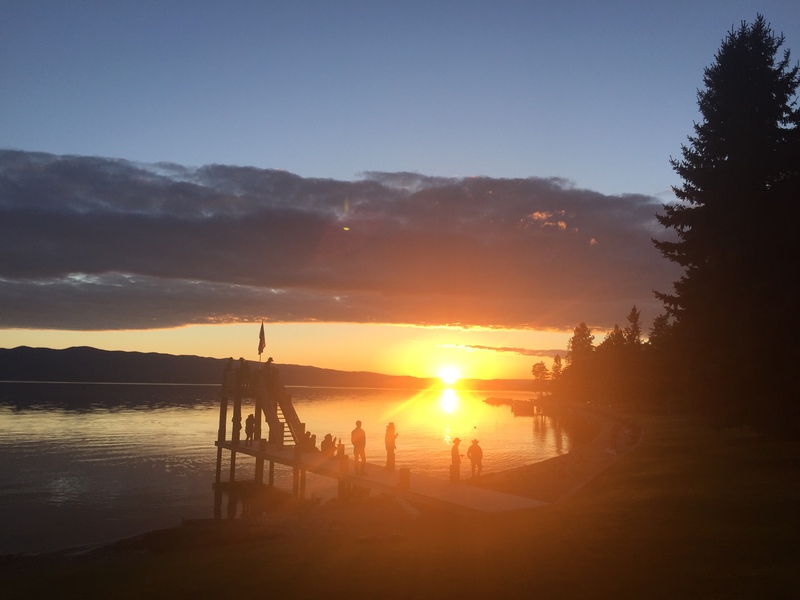 While I’m not sure when my travels will take me to Flathead Lake Lodge again, I do know this: that place is magic. 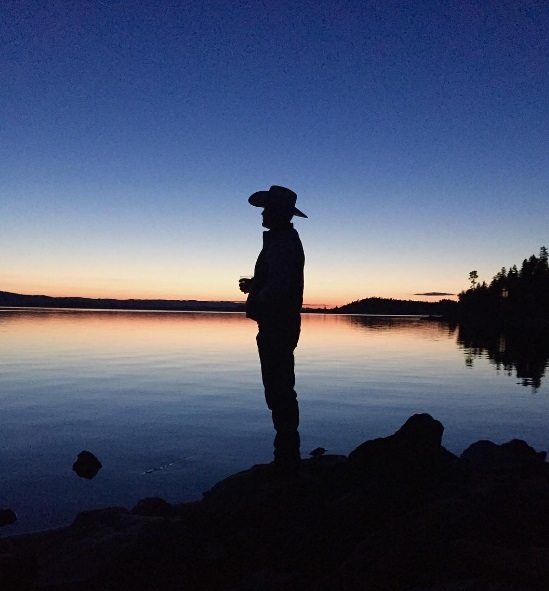 This entry was posted in Stay and tagged flathead lake, Flathead Valley, Guest Ranch, Montana, Stay on May 31, 2016 by tiatroy.